Obama also praised outgoing U.S. Education Secretary Arne Duncan—who was present for the signing ceremony—for his part in laying the foundation for the new law. 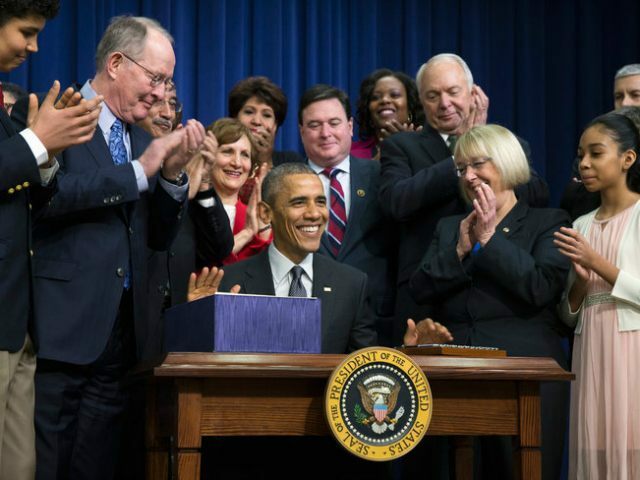 The ESSA, which now replaces the No Child Left Behind law, codifies into federal law a preschool program as well and still mandates annual testing in grades 3 through 8 and then again in high school. School districts must also publicly report student test scores according to race, income, ethnicity, disability, and English-language usage. In addition, though Alexander claims the law stops the federal government from coercing states into using the Common Core standards, ESSA still requires the Education Secretary to approve state standards.